Watch out, Hellcat. Here comes Hyundai. It wasn’t too long ago that Hyundai was lumped in with other economical Korean carmakers like Kia and the now-defunct Daewoo, but the maker of the Genesis have been working diligently to change that. Hyundai Motor America opened in 1990, but after gaining a reputation for poor craftsmanship and cost cutting, Hyundai invested heavily in quality control. In 1998, the Korean carmaker released the 10-year, 100,000-mile powertrain warranty for all their U.S. vehicles. Hyundai even bought a 51 percent majority stake in Kia Motors that year, however due to declining interest, that number has slid to 32.8 percent. Sales began to pick up in the early 2000s, backed by numerous J.D. Power awards and a wider model range. 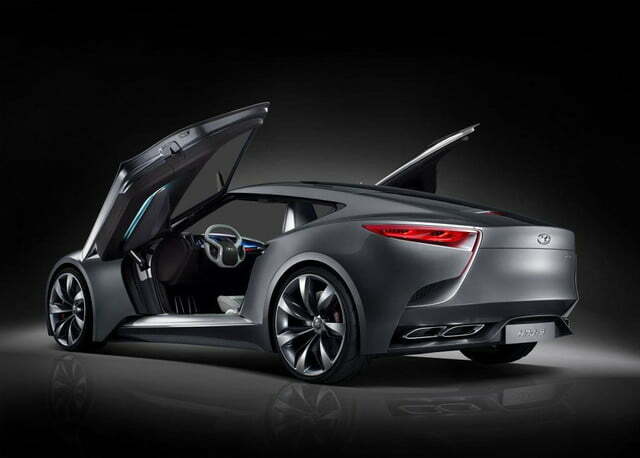 Hyundai hired Thomas Bürkle as the head of the company’s design center in 2006, and things really started to change. Burkle had worked as a designer for BMW in the past, and he helped develop the Korean manufacturer’s current design philosophy: the nature-inspired ‘Fluidic Sculpture’. The Hyundai Genesis was named the North American Car of the Year in 2009, and it’s easy to see why. The Genesis is a full-size, V8-powered luxury sedan with available all wheel drive and genuine wood trim inside. Hyundai has even developed a new, luxury-style wing badge for the latest model, perhaps hoping the lack of ‘H’ badge would entice would-be Bentley buyers. 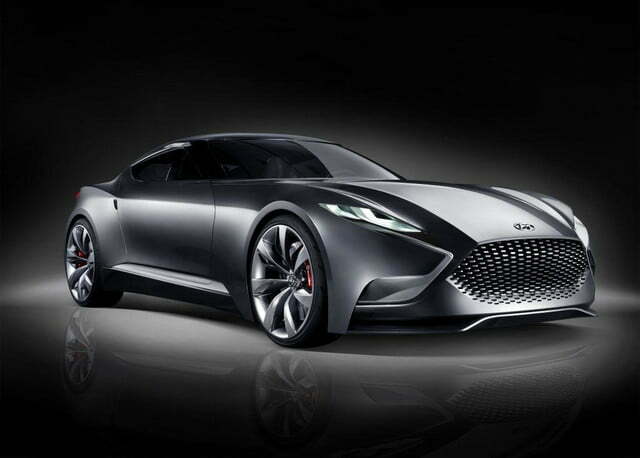 Now, GoAuto reports that Hyundai is continuing to improve its model range with the next-gen Genesis Coupe, but don’t expect it to be just a shrunk version of the sedan. 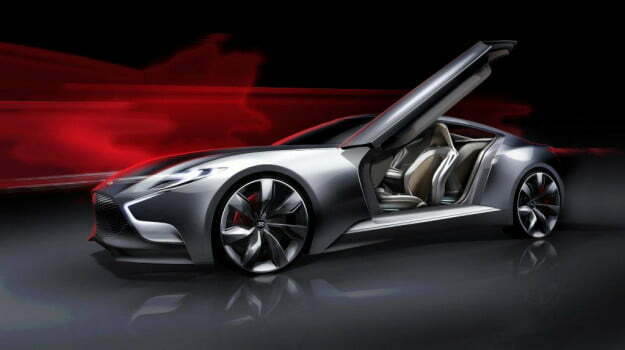 The sporty two-door will reportedly based on the Hyundai Luxury Sports Coupe HND-9 Concept that debuted at the 2013 Seoul motor show. It could (and should) house the 5.0-liter V8 from the sedan that develops 420 horsepower. 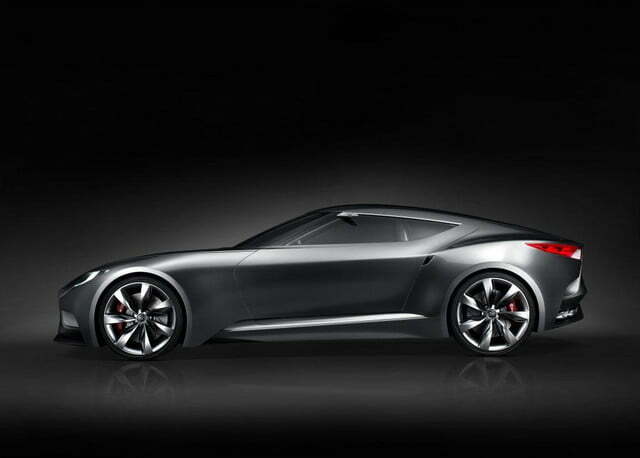 Other engine choices will include a 3.8–liter V6 making 311 hp and possibly a 2.0–liter, 274-hp turbo four. An eight-speed automatic is also planned. You can almost hear it screaming, “I’M NOT A KIA!” at the top of it’s eight-cylinder lungs.